Tomatoes are quite popular. Not only are they nutritious, but they are also very appetizing. They can be put into various foods like pizza, soups, spaghetti, salsa, and more. Roma tomatoes, in particular, are commonly seen planted in gardens and backyards. Recently, growing tomatoes has become more and more popular. But even in the past, Roma tomatoes have been a staple in many households. There are many reasons why Roma tomatoes are such a sought-after variety of tomatoes. You can check out this article further to find out about Roma tomatoes and all that you need to know about them. 1 What is a Roma Tomato? What is a Roma Tomato? A Roma tomato is a kind of paste tomato. Paste tomatoes are known for their uses in canning and processing activities. Naturally, Roma tomatoes are no exception. There are many reasons for this preference. First, a Roma tomato has a very dense and firm interior. Due to its naturally high density, each piece of Roma tomato is jam-packed with juices and nutrients. Next, a Roma tomato is highly acidic. You may be wondering why this is a good thing, but if you recall the main purpose of paste tomatoes, this makes a lot of sense. In canning tomatoes, the main goal is to keep them from spoiling. This is because we can tomatoes to preserve them for later use. Thus, if the canned tomatoes spoil fast, they become useless. Roma tomatoes, being highly acidic, help in this regard. The acidity from the fruits inhibits the bad bacteria from surviving. Thus, canned Roma tomatoes are less likely to spoil. Roma tomatoes are determinate plants. Determinate plants have fruits that grow at once in a predictable manner. Determinate tomatoes are also the fastest growing tomatoes. Roma tomatoes varieties are actually not difficult to grow. Some of them, like the cherry Roma tomato, can even be grown in containers because of how small their plants are. Growing Roma tomatoes is not actually different from growing other tomato varieties. 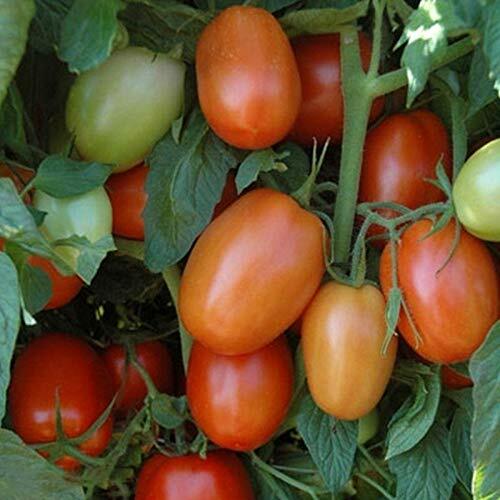 Therefore, the standard things to do in planting tomatoes should also be applicable in growing Roma tomatoes. To help you out, here are some tips to make things easier for you in planting Roma tomatoes. If what you have are still seeds, it may be best to grow them indoors first. You can place them in a pot or any sort of appropriate container. After a few weeks, the seed should sprout. Once it grows a few leaves, you can then transfer it outside. You can choose to either let it remain in a pot or plant it in the ground directly. Note: When planting in the ground, Roma tomato plants should at least be 7-12 inches apart from each other. Before planting the Roma tomatoes, it is important to prepare for the seedbed. If you plan on adding fertilizers, it is important to remember that the roots of the Roma tomato plant should not touch the fertilizers since it can cause burning of the plant. You can mix the fertilizer with the soil and place the mixture at the bottom of the pot. If you are planting the Roma seedling directly to the ground, the fertilizer mixture should be at least 6 inches deep. Accordingly, the seedling should rest around 3 inches deep. The soil without fertilizers should be put in between them. There is really not much to do after the initial planting. Aside from a few considerations, you only have to take care that the Roma tomato plant gets adequate amounts of water and sunshine. Determinate plants typically do not need too much support in terms of caging and staking. However, be prepared to do so if necessary. The key thing is to not let the vines, leaves, and fruits touch the ground so they do not rot. Spraying some liquid or dissolved fertilizers can be useful too. Once the tomato seedling grows a bit taller, you can apply the fertilizers at the base of the plant. Pruning Roma tomatoes is not typically done too much. The same is true for other determinate tomato varieties. This is because the leaves of determinate plants do not exactly grow too wild. Therefore, leaving them alone is fine. If you are just growing the Roma tomatoes in the backyard, harvesting is quite simple. Just pick the fruits up with your bare hands and put them in a basket or a container. If you want to be as clean as possible, you can use gloves. You can do whatever suits you. The only real thing to be careful of is cracking. Sometimes, tomatoes fruits can be left unattended and overripe which results in cracking. When the tomatoes crack, harmful insects and other organisms can enter the fruit. Worse, they can also affect the plant negatively. Therefore, aside from taking care that fruits get harvested before they overripe, it is necessary to know the right time to pick the fruits of the Roma tomato. There is a slight difference between the harvest timings between other tomato varieties and the Roma tomato varieties. 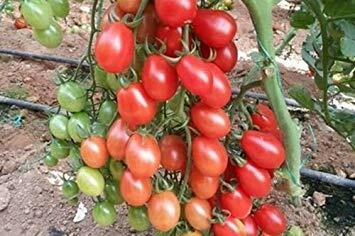 Typically, tomatoes fruits of other varieties can be picked even when they are not fully red. In fact, you can pick them while they are still mostly green all over with a few red streaks. The tomato fruits will ripen eventually even when not attached to the plants. Roma tomatoes, on the other hand, are mostly picked when they are completely red already. Why? It’s because they are best processed or canned immediately after harvest. And, naturally, tomatoes used for canning should already be completely ripe. There are two reasons for this. One, fresh Roma tomatoes are easy to peel. When canning Roma tomatoes, their skin is not included. And two, fresh tomatoes are less likely to spoil. Considering that we are preserving tomatoes for future use, using fully ripe freshly harvested Roma tomatoes is your best choice. Canning tomatoes is a very delicate process. One instance of carelessness or mistake in the process can result in a wasted product. It is recommended to fully understand each process. Thus, it is actually recommended to simply watch a detailed video about the entire thing. However, if you are up to the challenge, you can read this section instead. Here is the step-by-step process of canning Roma tomatoes. A note of warning: As mentioned several times already, the main goal of canning tomatoes is to preserve them. Thus, utmost care in each step of the process is required to keep the tomatoes from spoiling. Step 1. Harvest the fully ripe tomatoes and wash them thoroughly. Step 2. Scald them in a pot of hot water, above a low-temperate fire, to soften the skin. If done correctly, this should take a minute at most. Step 3. Once the skins are soft, peel the tomatoes one by one. You can use your hand or a stainless steel knife. Just make sure that they are clean. Step 4. You can slice the fruits into two and take out the seeds and pulps. If you have a seedless tomato variety, you can skip this step. Step 5. The tomatoes are now ready for canning. You can put them in a bowl or any clean container for now. Step 1. Take out the jars. Even though we call the process ‘canning’, transparent jars are actually used more than cans. Just make sure that they are sealable. Step 2. Clean the jars thoroughly, including their lids and the jar-sealing rings. This step is very important for the preservation of the tomatoes. Make sure that they are completely sterilized. Step 1. You can now put the tomato slices in the jars one by one. You can use your hands or any stainless-steel utensil. Again, make sure everything is clean. Step 2. Press the tomatoes to make sure that there is no space for air inside the jars. Completely fill-in any empty part. Make sure that they are as jam-packed as possible. Step 3. You can use a knife to poke and stab the Roma tomatoes inside the jars so they release their juices and completely cover every space inside. However, it is best to leave an inch of space on top so that the juices have enough room once they extract from the flesh and expand. Step 4. Close the jars as tightly as possible and affix the jar-sealing rings to keep them as sealed as possible. Step 5. After closing the jar, put them in a pot full of boiling water. Keep the stove on at a low temperature and let them sit for 30 to 45 minutes. You can use a stainless-steel rack to keep them in place so they don’t break. Step 6. After at least 30 minutes is done, remove the jars from the pot. Make sure the seals remain tight. Step 7. You can let them cool down and check for the seals again. If all is well, store them in your cellar or any cool, but not drafty, place. There are many Roma tomato seed varieties that are currently accessible in the market. Here, we list a few of the best ones. Since we are talking about Roma tomato seeds that are great for processing, we naturally cannot exclude the Italian Roma Tomato. 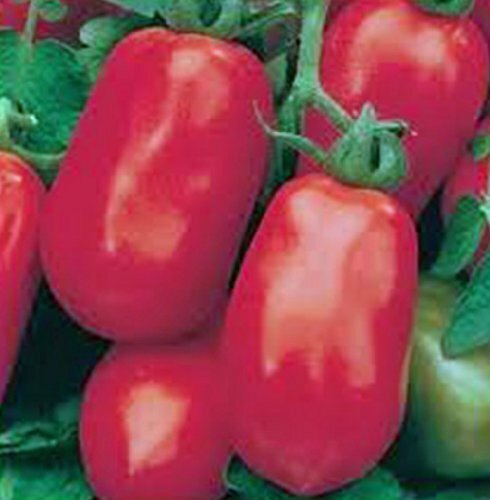 It is the best tomato variety to make the Italian paste which is used mostly in pizzas and many kinds of pasta. Paste tomato fruits of different varieties are of mostly the same size. They are large enough to fit in salads and sandwiches but are also small when compared to beefsteak tomatoes. Among the Roma paste tomatoes, Italian Roma tomatoes are relatively large. They also have a remarkably high yield. Additionally, although Italian tomato plants can be larger than other varieties, it still is very easy to grow. Roma tomatoes are known for their resilience and resistance to different kinds of diseases. Italian Roma Tomatoes naturally have this advantage as well. The cherry Roma tomato plant is one of the easiest plants to grow and manage among the Roma tomato varieties. This is largely due to the size of the plant and its fruits. Among Roma tomatoes or even paste tomatoes in general, cherry Roma tomatoes are relatively tiny. In truth, the name refers to its size. The cherry Roma tomato has two classifications. It can be identified as a paste tomato of the Roma variety. On the other hand, it can also be categorized as part of the cherry tomato varieties. The third tomato seed variety of this list is of the Plum Regal Tomato. This tomato variety is the perfect representation of what a typical Roma tomato should be. For instance, it is a determinate plant. Thus, it only grows to a certain degree and its leaves and vines are well-behaved. The fruits of the plum regal tomato are red and medium-sized. Like other Roma tomatoes, the flesh interiors of the fruits are firm and dense. If you are looking to grow aRoma tomato plant just to see what this variety is like, then the plum regal tomato is your best choice. This tomato variety is a hybrid one. This means that to reach its current characteristics, it has undergone some cross-breeding activities in contrast to heirloom ones. To round out our list, we throw a curveball and introduce to you the seeds of a sunrise sauce Roma tomato plant. How is this different from the other Roma tomatoes? It has orange-colored fruits! If you are not aware yet, a tomato’s taste can be roughly determined just from its color alone. Orange-colored tomatoes are typically sweeter than their red counterparts. 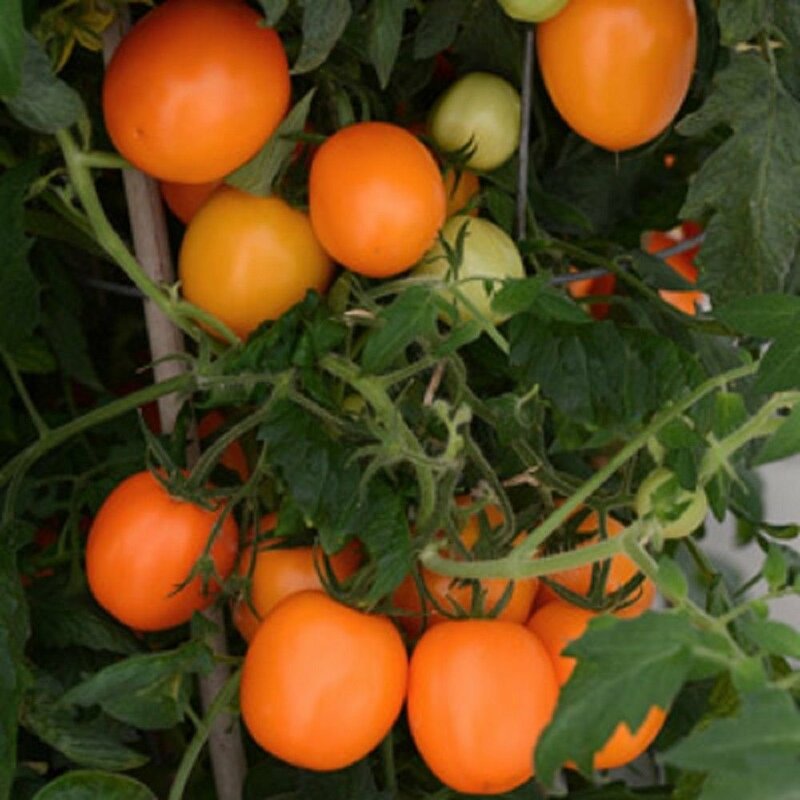 Other than their color and taste, however, the Sunrise Sauce Tomato fruits do have the same characteristics as the others of the Roma variety. They are also acidic, and their interiors have a meaty and fulfilling texture as well. Just like other Roma tomato plants, the Sunrise Sauce Tomato is determinate. Furthermore, it also is resistant to many plant diseases. The Sunrise Sauce Tomato is a hybrid tomato. Roma tomatoes are a great choice for gardeners and homeowners who want to start planting tomatoes in their garden. Not only are Roma tomatoes delicious, but they can also be used in many different ways. Fortunately, you now know all that you need to know about them. Hopefully, at this point, your interest has been piqued, and you are already considering growing Roma tomatoes in your gardens.